Click on one of the thumbnails below to access the 5 photos of this aircraft. Anson #12417 breaking for landing. 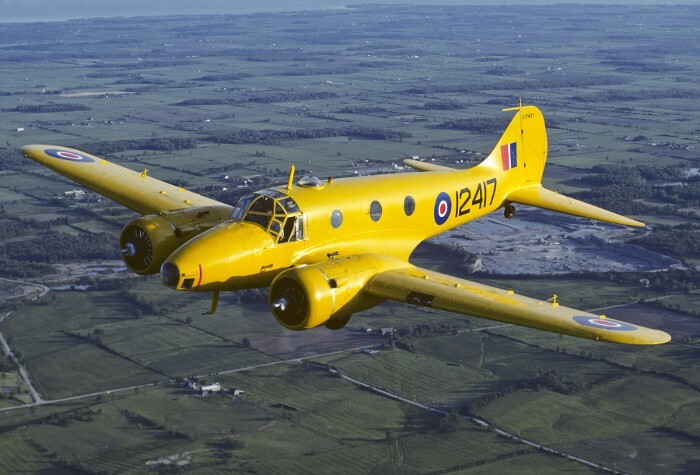 The Anson has been painted in the original colours it wore while in service with the Royal Canadian Air Force. 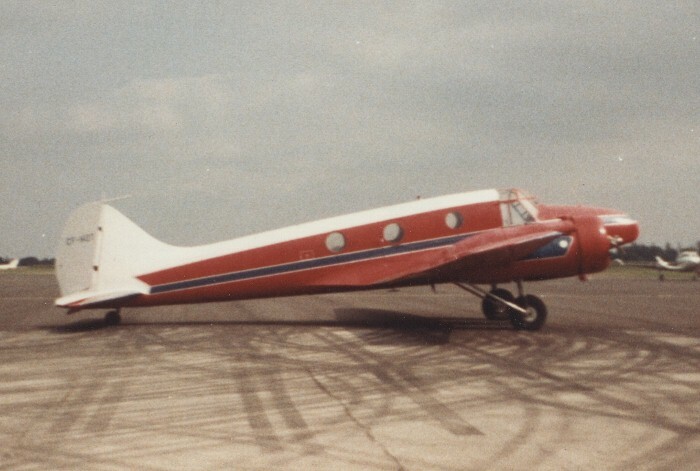 The Anson arrived at the Museum in 1980 from INCO in a red, white and blue paint scheme. The Avro Anson first flew in March 1935 and a year later entered service with RAF Coastal Command as a maritime reconnaissance aircraft. 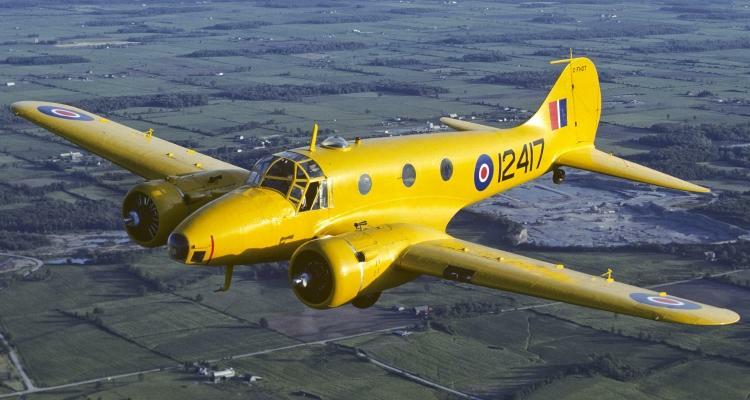 On retirement from front line service in 1939, the Anson really came into its own with the British Commonwealth Air Training Plan (BCATP), as an aircrew trainer. The Anson Mk. II was a Canadian built version of the British Mk. I, but differed in having Jacobs engines instead of Armstrong-Siddeley Cheetahs. A total of 1,832 Anson Mk. IIs were built in Canada between 1941 and 1943, by a number of manufacturers. They were used by Service Flying Training Schools to train pilots to fly multi engined aircraft. Due to a wartime steel shortage, a moulded plywood aircraft - the “Vidal Anson” was developed in 1941 and the first production Anson Mk. V flew from Cartierville, Quebec in January 1943. Eventually 1,049 Mk. Vs were built, by MacDonald Brothers, Winnipeg and Canadian Car & Foundry, Amherst N.S., before the war ended in 1945. The Anson Mk. V trained BCATP aircrew in bombing, aerial photography and radio operation, but its main role was in navigation training. After WW II, Ansons continued in military service for quite a time. They were retired from the RCAF in 1954, but continued flying with the RAF until 1968. 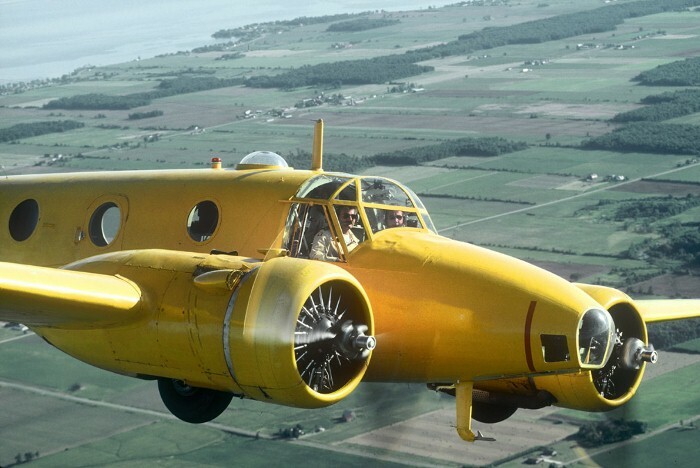 When manufacture ceased in 1952, over 11,000 Ansons had been built - nearly 3,000 of them in Canada. The Museum's Anson Mk. V was built by MacDonald Brothers in Winnipeg in 1944. It flew with No. 7 Photographic Wing and No. 414 Squadron in Ottawa on photo survey work until the late 1940s. In 1956, it was purchased by INCO and used for mineral surveying until 1980, when it was donated to the Museum. 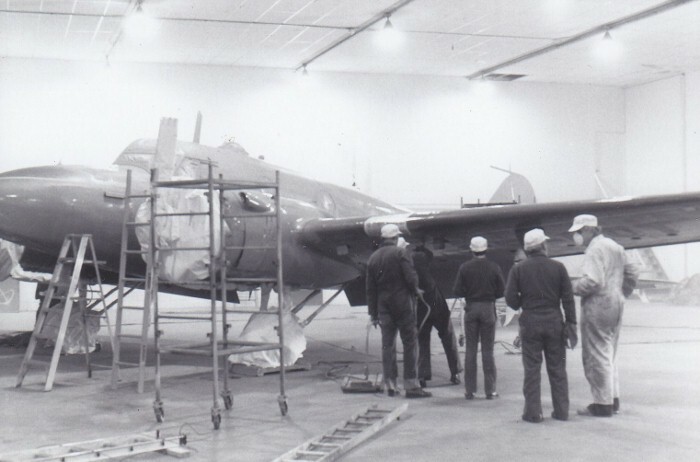 The Anson is now finished inside as a navigation trainer - its primary role in the BCATP. 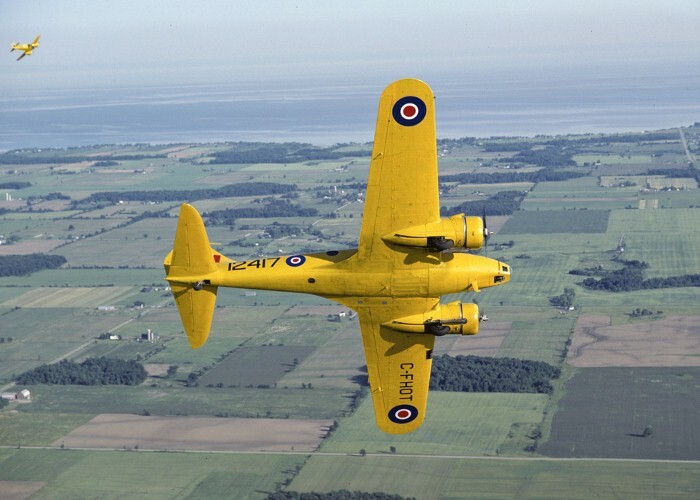 The exterior is painted in the yellow colour common to all BCATP trainers and is in its same wartime RCAF markings.